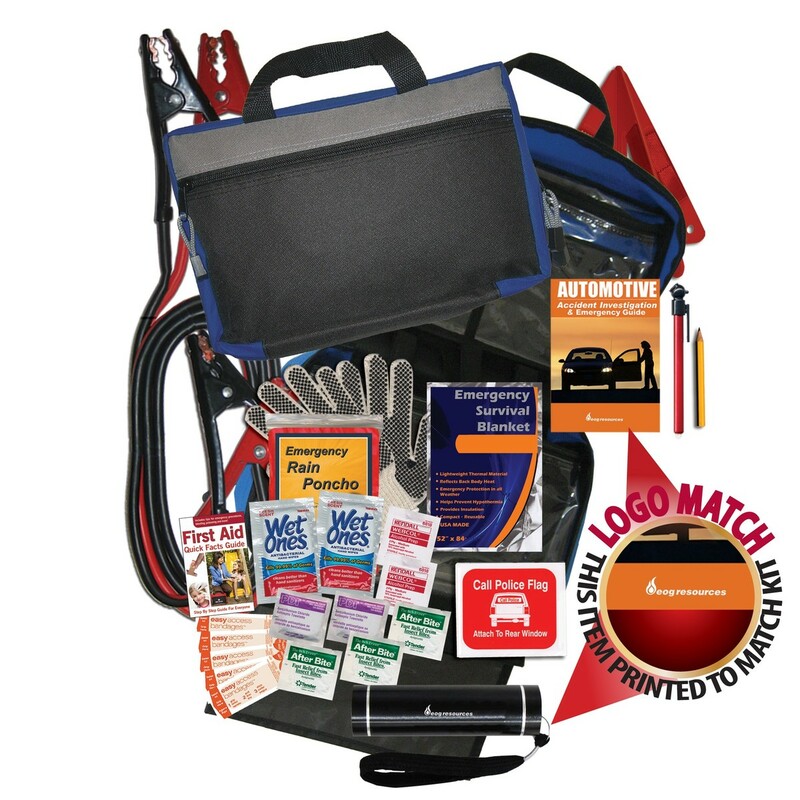 This deluxe automotive kit has you covered, no matter what the road might throw your way – and it’s all wrapped up in a rugged 11" x 7" zippered nylon case. 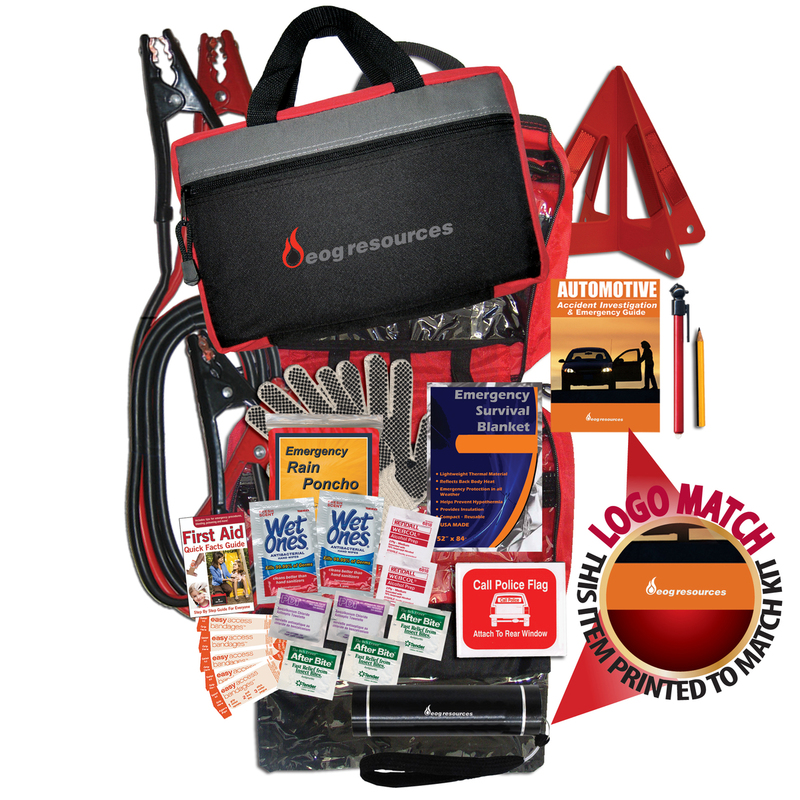 Choose a color and add your logo to create a branded promotion that matches perfect with all things auto. This kit includes 1 Pair of 250 Amp 10 Gauge Jumper Cables, 1 LED Flashlight w/ Batteries & Imprint, 1 48pg Auto Emergency Guide w/ Imprint, 1 Safety Road Triangle, 1 Tire Pressure Gauge, 1 Pair of Cotton Work Gloves w/PVC Grip, 1 Emergency Blanket, 1 Call Police Banner, 1 Pencil, 1 Rain Poncho, 2 Wet Ones® Wipes, 5 Bandages, 3 After Bite® Sting Swabs, 1 First Aid Quick Facts Card, 2 Alcohol Wipes, and 2 Antiseptic Wipes.